Richard Elliot, all rights reserved. 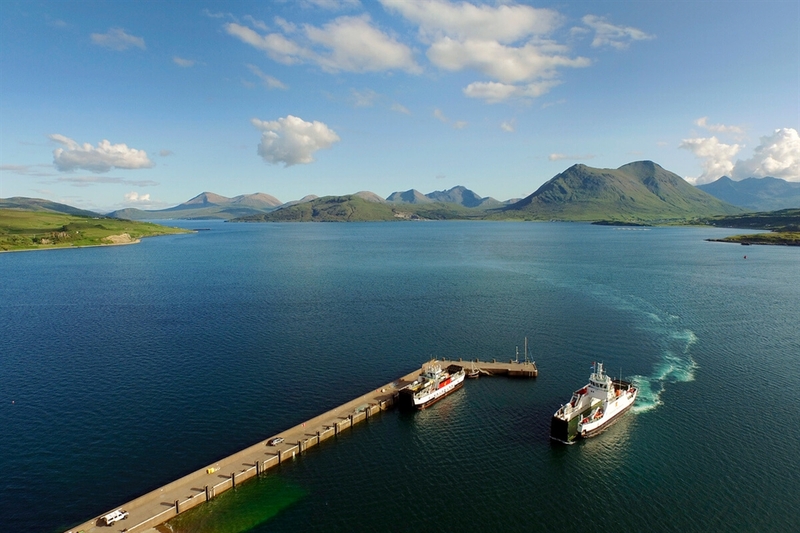 The Island of Raasay sits just off the Isle of Skye’s eastern coast and measures just 14 miles long by 5 miles wide. It can be reached by a short 25 minute ferry ride (running regularly every day) from Sconser on the Isle of Skye and you’ll find yourself on one of the most beautiful small islands of Scotland. Raasay (Ratharsair in Gaelic) means Isle of the Roe Deer. The island is a paradise for walkers, nature lovers or those who just want to escape and experience the peace and tranquillity of island life. All abilities can enjoy walking on Raasay with woodland trails, dismantled railway lines, open moorland and coast paths. In addition to enjoying the island’s abundant flora, visitors can also catch glimpses of its rare wildlife including golden eagles, sea eagles and the unique Raasay vole. Offshore in the Sound, otters and seals play and hunt, dolphins are regular visitors and the occasional basking shark or minke whale passes close by. Raasay has a barren, rugged and rocky terrain. The most obvious feature is the 1456 ft Dun Caan, with a summit which offers clear views over to the Cuillin on Skye and the Outer Hebrides beyond.